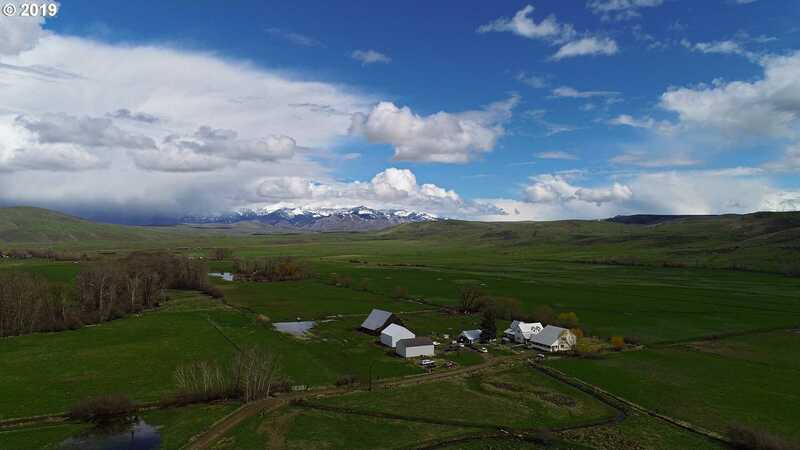 Located near the quaint town of Halfway, this 320 acre ranch has so much to offer. The property boasts a turn of the century home with additional mother-in-law quarters and several out buildings. With some of the oldest water rights in the valley, the property is flood irrigated – currently running 100 head of cattle. Lush pasture, hill ground and delightful ponds round out this amazing 2 parcels of land. Please, send me more information on this property: MLS# 19336189 – $1,700,000 – 39132 Hunsaker Ln, Halfway, OR 97834. I would like to schedule a private showing for this property: MLS# 19336189 – $1,700,000 – 39132 Hunsaker Ln, Halfway, OR 97834.